Our Mission is our purpose — it's why we exist. Our Vision is our strategy — it's how we're going to accomplish our purpose. We pursue God by spending time in His presence — being loved by and loving Him — through extravagant worship, faith-filled prayer, and passion for His Word. We encourage growth by helping one another understand and trust the Word of God, see who He’s created us to be, and rely on His Holy Spirit to live an overcoming life of faith by God’s grace. We develop faith by choosing the truth of the Bible. Jesus is the source of our faith which allows us to follow His purpose for our lives, expect the miraculous, and stand firm in the face of adversity. We demonstrate love by honoring others above ourselves and exhibiting who God is as we connect with and serve our community. When we make a quality decision to pursue God and are encouraged in our growth by the Holy Spirit and our church family, we develop faith and are empowered to demonstrate the God-kind of love. As we demonstrate this supernatural love of God that's inside us, we'll inspire others to pursue their own relationship with God, in which we can encourage their growth so they can develop faith and demonstrate love to others who will then pursue God for themselves. 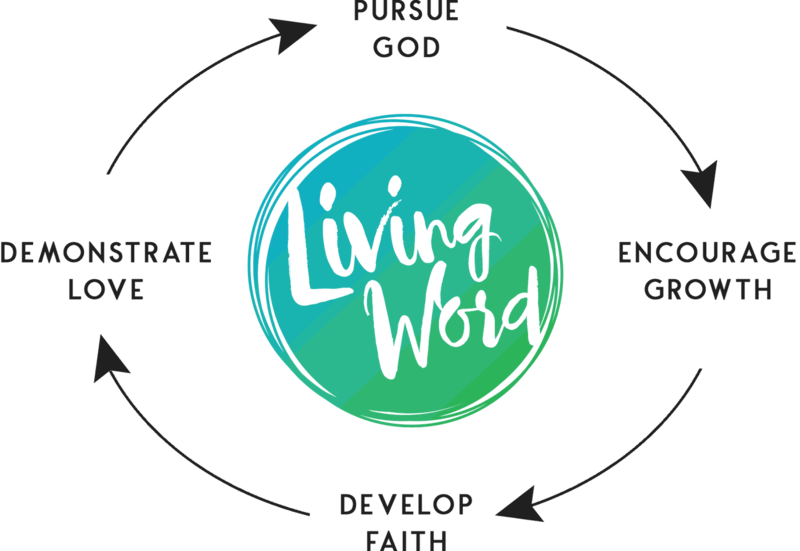 It's a circular strategy of sharing the love of God and hope in Jesus with others.